While we were in Paris last summer I bought a silicone financier pan from Dehillerin, the iconic kitchen supply store. 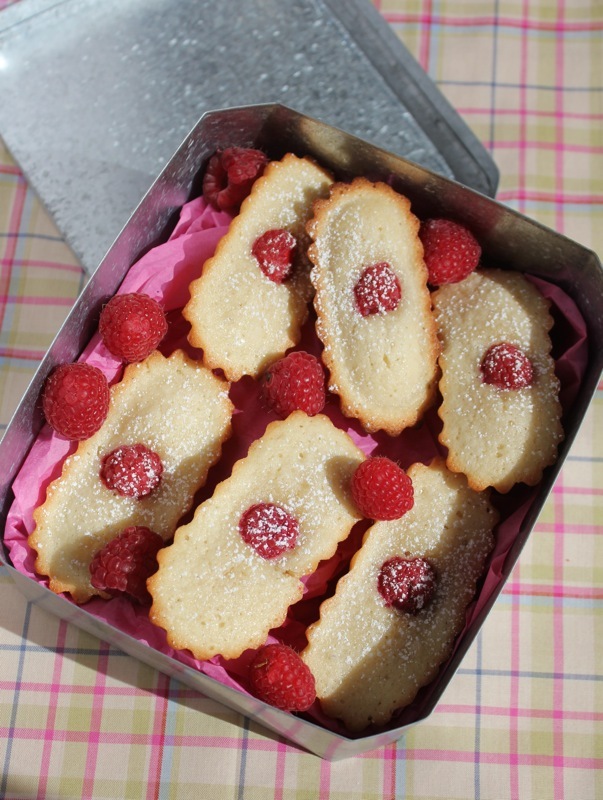 I have regretted not buying the individual financier tin molds ever since. Financiers are small cakes made in Paris bakeries in the shape of gold bars. They were originally sold in the financial district to busy businessmen who wanted a quick snack on the go. I have a friend here in Florida whose mother was an expert chocolate maker. Stephanie inherited all of her mother’s chocolate molds. I was describing the rectangular financier molds to her and she said that she would look through her collection to see if she had any. To my surprise and delight I received this gift from Stephanie. The fluted molds are so beautiful. I feel honored that she wanted to share them with me. Stephanie’s mother was not only an exceptional baker, she was also a hat model in New York City. Looking at Stephanie,with her beautiful sculpted cheek bones and wide smile, I can understand why her mother’s visage would be perfect for modeling hats. Does anyone model hats anymore? I doubt it. Traditionally financiers are made with browned butter, almond meal and confectioner’s sugar. That combination makes a delicious cake. I have become addicted to them. You can make your own almond meal by grinding almonds into a fine mix or you can buy almond meal at most health food or specialty grocery stores. You can make them plain or add fruit such as raspberries or blueberries to the top. I have even made a savory financier using sage leaves and walnuts. See that recipe here. This recipe came from Joy of Baking and there is a great video included with the recipe. Place the butter in a small light colored saucepan over medium heat. Once the butter has melted let it come to a boil, swirling the pan occasionally. As it boils you will notice that a foam will appear on the butter’s surface. Continue to cook the butter until it looks clear and the milk solids have dropped to the bottom of the pan and have turned golden brown. Remove from heat and immediately pour through a cheesecloth-lined strainer. Let cool to room temperature. You will need 1/3 cup (80 ml) of brown butter. Use the leftover brown butter to butter the molds (use a pastry brush). These bring back such wonderful memories of picking wild raspberries, and sun drenched summer days. I, too, bought a financier mold (although mine was metal) — I like these little tins better and I have some . . . 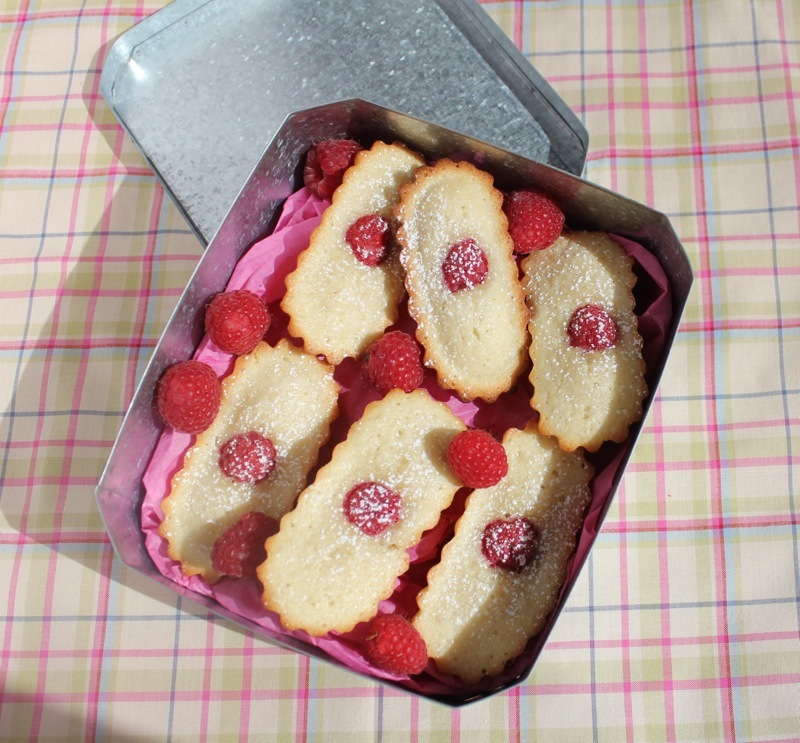 I had sort of given up on financiers after making them once . . . but I’ll try them again with those fluted molds! thanks for the idea. Yours look delicious! Beautiful looking cookies…and what a lovely friend you have! These are so lovely. I’m sure they’re delicious. What a wonderful gift to receive, too. I know that these must be delicious. I have some hazelnut meal – do you think it would work? I think it would work. I used walnuts in the last batch I made. Let me know how it works H.
Love those molds, Penny! Almost as much as I love financiers! Beautiful job. Your financiers are beautiful, Penny. Do you not like your silicone mold? I bought one for canneles and I haven’t made up my mind if I like it or not. How nice of your friend to send you those wonderful little molds. Love the raspberries you added. 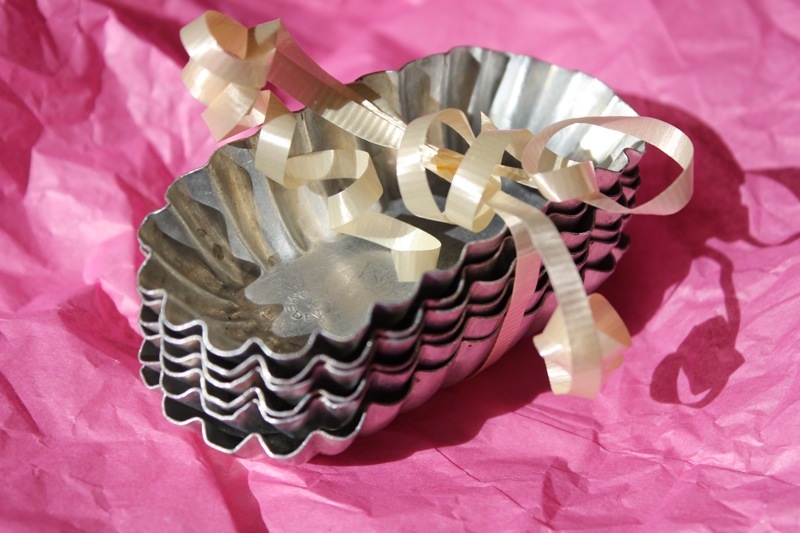 Hi Cathy, I do like my silicone mold, but I like the aesthetics of the tin molds better. The silicone mold works great, but its analogous to cooking in a non-stick pan or a copper pan. Just makes me feel better. Wow those moulds are so right up my street, are htey aluminium or tin…what size are these please…any any idea where I might buy something similar? Hi! I went to Paris recently and fell in love with the financiers. I just bought a new small Breville that does convection so I am ready to go. I would like to use metal instead of silicone. Do you know where I could find your decorative individual metal pans or where i could find a single pan to do multiple ones? This post was published by Penny on January 24, 2013.